Three fair runs off the Devon & Dorset coast. Out over AFV [Armoured Fighting Vehicles] School, Bovington. A Hun turned up right down on the deck but we were NOT allowed to go for it. Fighter Direction Tenders were, in effect, floating command and control centres. They were the eyes and ears for the large scale invasion forces off the beaches of Normandy in June of 1944. There were 3 Fighter Direction Tenders designated FDT 13, 216 & 217. 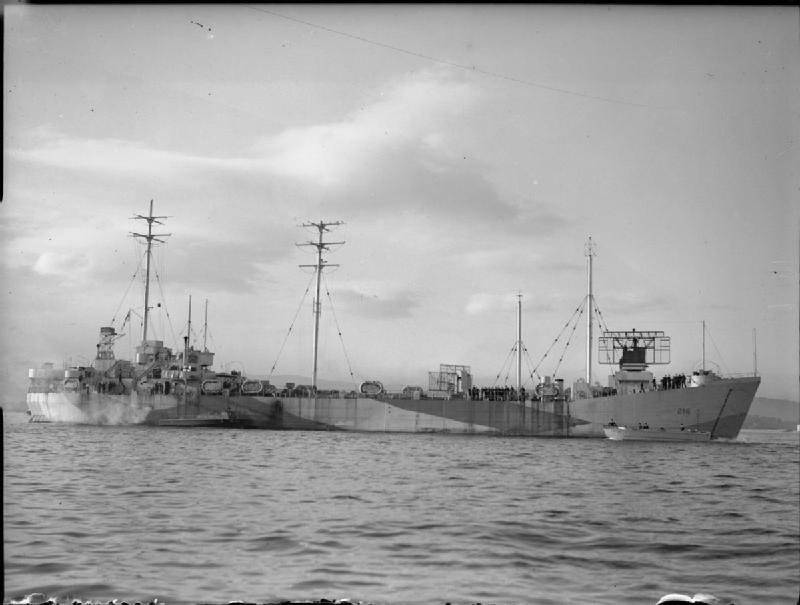 Amongst the equipment on board was CGI radar, and these ships would have controlled the aircraft of 488(NZ) Squadron in a similar way to the land based GCI Stations we have already come across. During the D Day Invasion, FDT217 was located off the British beaches (Sword, Juno and Gold) in the Eastern half of the assault area for the control of those British and American fighters detailed to operate in this sector. You can read more about these craft at the Combined Operations Command website.